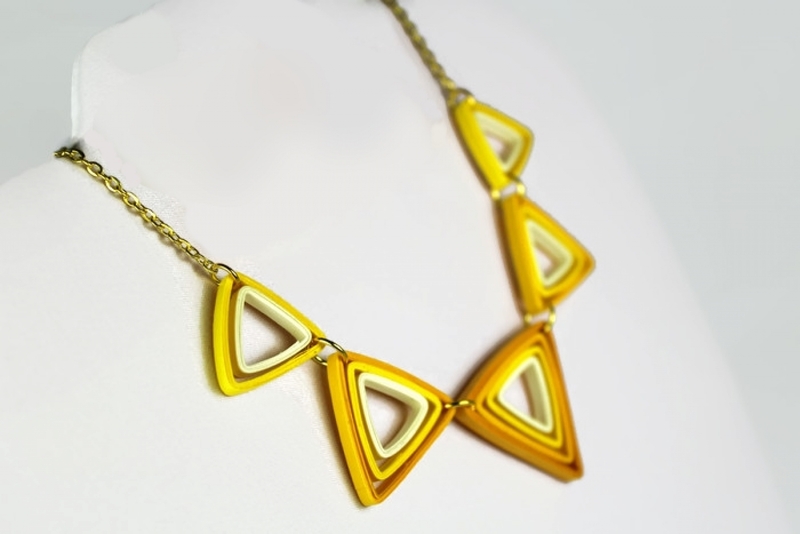 This swanky paper quilled yellow triangles necklace is eco chic perfection. Flaunt your sophisticated style at the office then wear it out on date night! 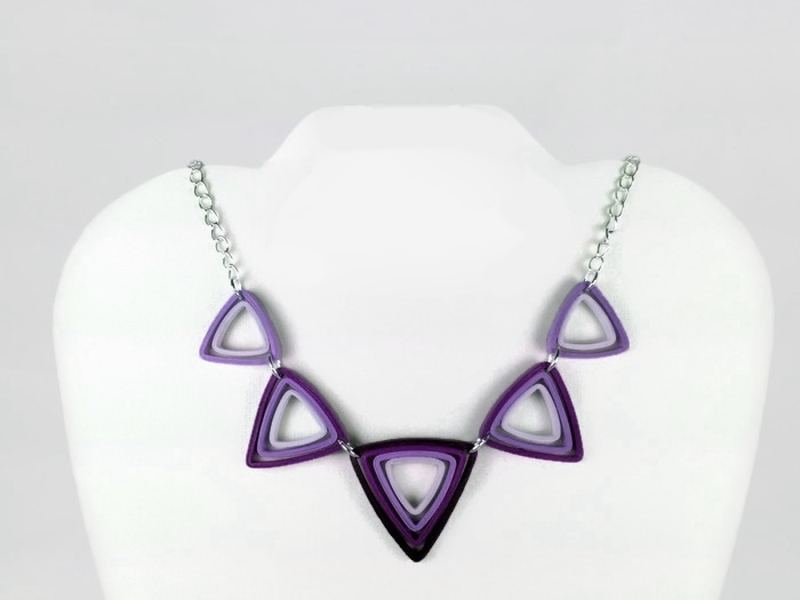 The necklace features art deco style triangles made from paper quilling strips in various colors. You may choose from shades of yellow, green, purple, blue, or request your own custom colors. 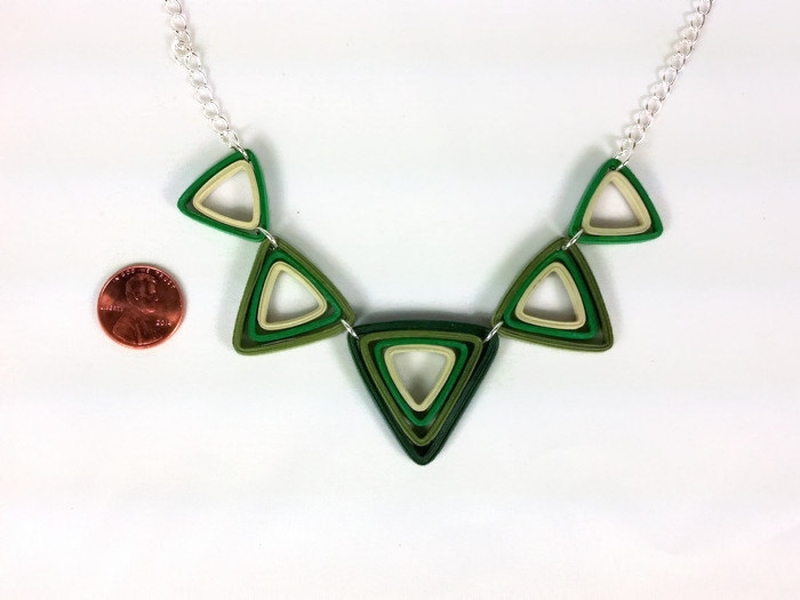 The large middle triangle of the necklace is composed of four graded colors ranging from dark to light. 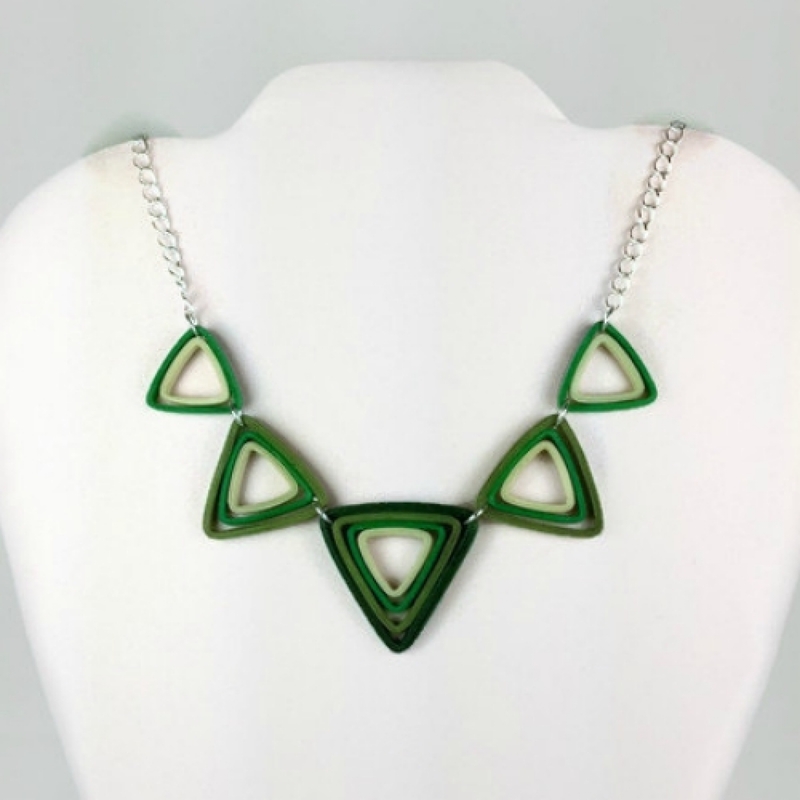 The center triangle of the necklace is flanked by four additional triangles in different sizes and shades. Each component has been hand painted in a sealant which makes the set water resistant and UV resistant. This set is super lightweight. The paper quilled shapes are attached to a lead and nickel free gold or silver plated cable chain with a lobster-style clasp. The entire necklace is 21.5 inches in length. This necklace is made to order which means I will make you a fresh piece as soon as you order. Your set will look nearly identical to the photographs provided. Small variations may be present, as each item is one of a kind. 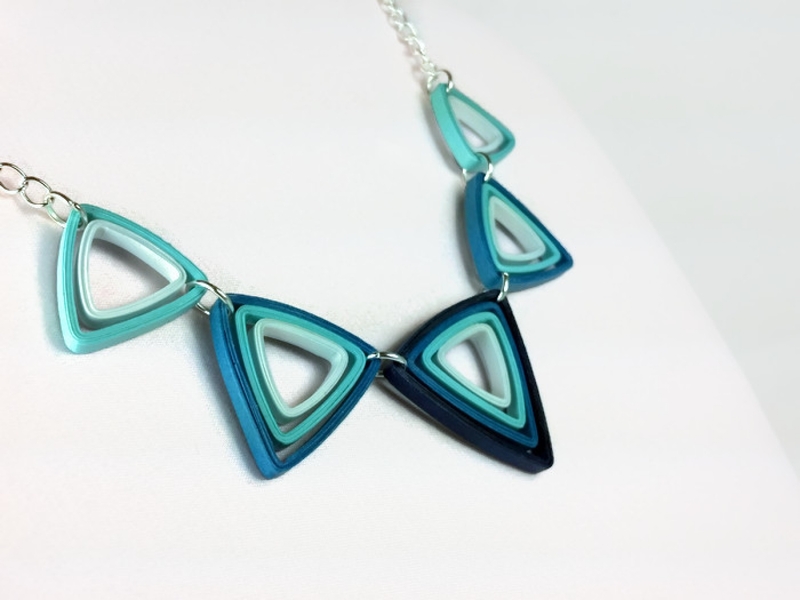 Did you see this necklace also comes as part of a set?